Your South Jersey home could be vulnerable to mold growth. Some rooms may be more susceptible to mold growth if activities produce more moisture. For example, bathrooms are commonly damp. Between showers, sink usage and toilet usage, your bathroom can be the ideal breeding ground for mold. There is often an abundance of moisture, it is typically dark and dank, and bathrooms tend to collect plenty of dead organic matter to feed on. In addition, bathroom mold can be sneaky. Mold can get into the little nooks and crannies behind bathtub liner. Moisture can collect under partially tiled areas, and mold can develop under you tiles completely unnoticed. The most effective way to combat bathroom mold is prevention. Prevention is as simple as controlling moisture levels and cleaning regularly to remove organic matter that feeds mold. Optimize Airflow and Ventilation- To prevent mold caused by humidity, humidity levels should stay below 50% in your NJ home. Bathrooms are prone to trapped humidity between hot showers and the constantly running water throughout the day. High bathroom humidity can and will promote mold development. Check that your exhaust fans have sufficient pull to ensure that your bathroom is properly ventilated. If you have bathroom windows, open them up to help expel steam. When using the shower, keep doors closed to keep the hot, damp air from escape into dry areas of the home. When the shower or bath is not in use, keep the bathroom door open. It will increase air circulation throughout the day. Regular Cleaning- Mold loves to feed on dead organic matter: dirt, dust, hair, body oils, urine, feces, etc. Keeping your NJ bathroom clean will be a key component in mold prevention. Take time to quickly wipe down all items in the bathroom: shampoo bottles, toys, cups, containers, etc. Make it a habit to wash all porous items. Porous items like rugs, towels, etc, hold moisture that can promote mold growth. Be sure to launder your shower curtain frequently. If you do not have a fabric shower curtain that can go in the washer, wipe it down with a mild detergent, a baking soda solution, or a vinegar solution. Dry Wet Surfaces- Check to make sure that all your surfaces are dry when possible and within reason. Dry surfaces such as mirrors, tiles, glass, and walls with a towel and a squeegee. Declutter Your NJ Bathroom- Remove unnecessary items in the bathroom to reduce the amount of wet surfaces for mold development. We tend to not touch or move unused items. If the items are sitting in moisture, mold can develop underneath the items and go unnoticed for unknown periods of time. Check the Plumbing of Your NJ Bathroom- Check For Leaks by feeling around for dampness around your bathroom pipes and seals to identify any potential leaking. Excessive water intrusion can lead to major mold development. If you identify any leaks in your bathroom, be sure to call a professional (i.e: a plumber or handyman) to fix the problem. Unresolved leaks can turn a minor problem into a serious expense. In the cases where the leak has been unaddressed for a while, may experience minor to severe flooding. If you come across major water intrusion, you should call a professional NJ water damage restoration company to properly dry out your bathroom to avoid serious mold problems. Address Slow Draining- If you are experiencing slow draining in your sink, bathtub, or shower, it can be an indication of a backup within the drainage system. Clogged drains can lead to mold development, clear up the drains immediately upon noticing the issue. In addition to promoting mold growth, backed up drains can lead to various other costly issues. If you are experiencing persistent backups, it can be symptoms of underlying sewage problems. Unaddressed sewage problems will only grow to be worse, so take the time to assess your property for symptoms of a NJ sewage leak. If you discover mold development in your bathroom, you should consider calling a professional South Jersey mold removal company to properly address the issue. 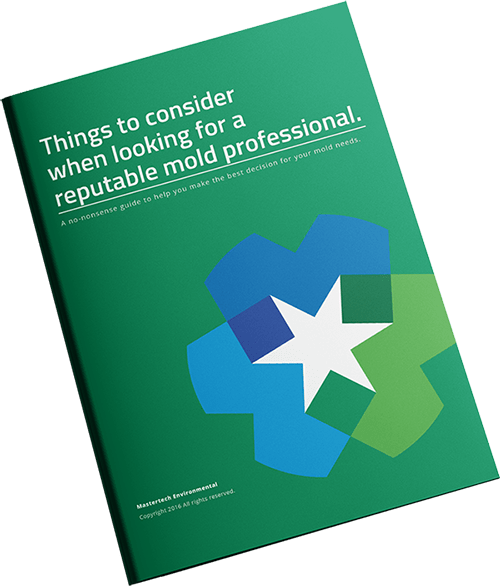 Minor mold development on hard, non-porous surfaces can easily be taken care of with a little mild detergent, baking soda solution, or vinegar solution. However, if it seems to be extensive mold growth or you feel like it is an overwhelming amount of mold, call a professional to complete a comprehensive NJ mold inspection.